Being in the know about your credit score and checking your credit report are easy ways to get an overview of where you sit financially with lenders, and see the areas where you may need to improve. Understanding where you can find your score and report and why you have the number you do can put you in a better position to secure things like a new house, job or car. Your credit score is based on information in your credit report and is a numerical representation of your ability to pay back your loans as agreed upon with your lender. You can’t assume that your score is good just because you’ve been approved for lines of credit in the past, or assume that your credit is bad because you’ve missed a payment or two. The only way to know whether you have a good credit score is to check – regularly! Your credit score is made up of different factors like your payment history, credit utilization (your debt to limit ratio), and your types of credit. So, paying your bills on time and keeping the amounts you owe to no more than 30% of your total credit limit is a good way to raise a low score or maintain a good one. Based on your score, potential lenders will put you into a certain category of borrower ranging from Bad to Excellent. 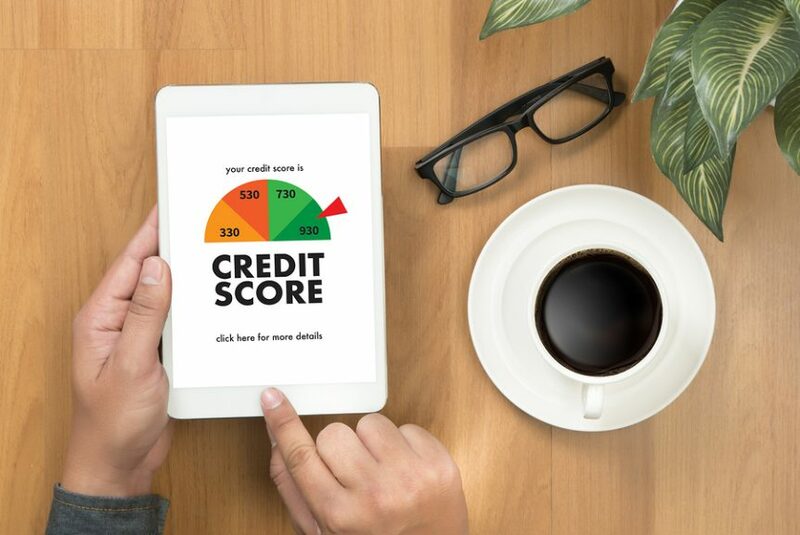 Most credit scores operate within the range of 300 to 850, and, depending on what you’re applying for, the ranges for each category may vary or shift slightly between lenders. For example, here’s LA Financial’s credit category breakdown for someone who’s looking to apply for an auto loan. Depending on which category you fall under can affect things like how much you’re able to borrow or your interest rate. However, even people with Poor or Bad credit can secure a loan by doing things like bringing in a co-borrower. Don’t be deterred if you feel like your credit is lower than you’d like it to be right now. Credit scores change frequently – depending on your actions. Making sure you do things like pay your bills on time, and diversify your types of credit — through credit cards, mortgages, or auto loans — will help your score, and you’ll be able to see those results. According to a report by the Federal Trade Commission (FTC), 1 in 5 Americans has an error on their credit report that can affect their score. Seeing a lower credit score than you were expecting could mean you have an error on your report, so checking out your report annually is a good idea. The Federal Credit Reporting Act states that each of the nationwide credit reporting companies — Equifax, Experian, and TransUnion — provide you with a free copy of your credit report, at your request, once every 12 months. To order your report, visit AnnualCreditReport.com. Errors can be remedied, but first, you need to know that they’re there. Errors happen on credit reports, but seeing an unexpected or seriously bad score can also be sign that you have become a victim of identity theft. If you see accounts or addresses on your report that you don’t recognize or information that is inaccurate, getting in contact with the credit reporting company and the information provider quickly is necessary. It’s a scary thing to uncover but the sooner you address the inaccuracies, the faster you can shut down the thief and get to repairing the damage to your credit. For more info, check out FTC’s brochure on identity theft. There’s no reason why you shouldn’t know your current credit score. Since the FTC gives you your credit score with each of the major agencies when you request a report, you should be able to have a clear idea of what bracket you’re in at any given time. AnnualCreditReport.com is the free and official site that the three nationwide credit reporting companies have set up to send you reports and keep you in the loop on your own finances. On top of that, you’re entitled to check your score whenever you want through sites like Credit Karma and Credit Sesame. These are ad-supported sites that allow you to check your scores regularly for free and also monitor your credit more carefully if you choose to use their additional paid services. And, despite what you may have heard, checking your credit score doesn’t have any effect on your score, no matter how many times you check it. There are two types of credit inquiries that can occur on your report: hard inquiries and soft inquiries. Hard inquiries occur when a lender or a credit issuer requests your credit report. Hard inquiries happen when you apply for things like a loan, a mortgage, or a new credit card and can lower your credit score by a few points. Soft inquiries occur when someone checks your report as part of a background check. This type of inquiry will not lower your credit score. Examples of soft inquiries are when you get pre-approved for a credit card, a new employer requests a background check or you check your own credit score. You deserve to feel confident about your finances. Making sure you are armed with the knowledge of where you stand with lenders gives you a leg up when applying for new lines of credit. It helps you to keep the good score you have or encourages you to build your credit back up so that you can fund your financial dreams.